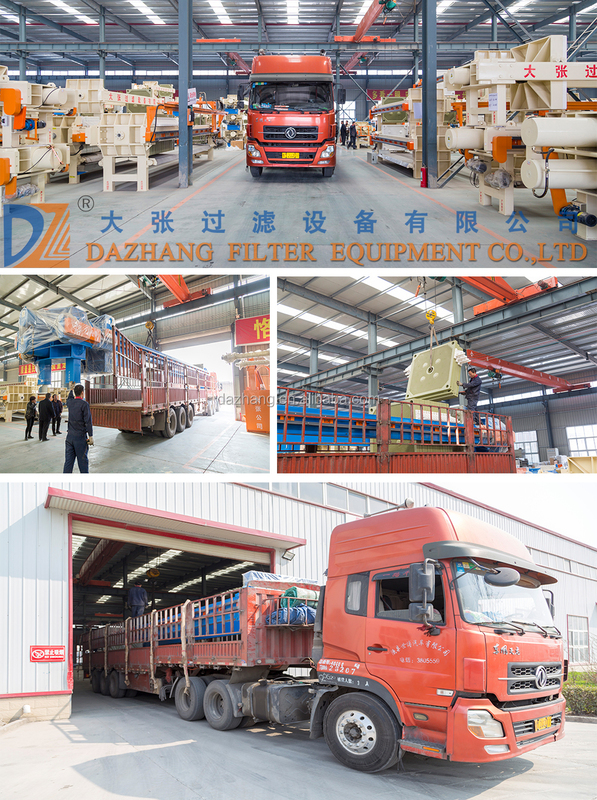 Based on the introduced advanced technology, DNY belt filter press is developed and designed based on DY belt filter press. 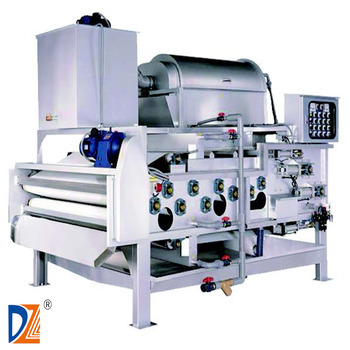 DNY belt filter press is one ideal sludge-dewatering equipment which is widely used in chemical, coal, paper making, food staff, urban sewage industry. It also can be used as a liquid-solid separation machine. It features in high efficiency, good dewatering effects and low consumption. Using this kind of DNY belt filter press, no need for concentrating pond, thus saving the investment and saving floor area. 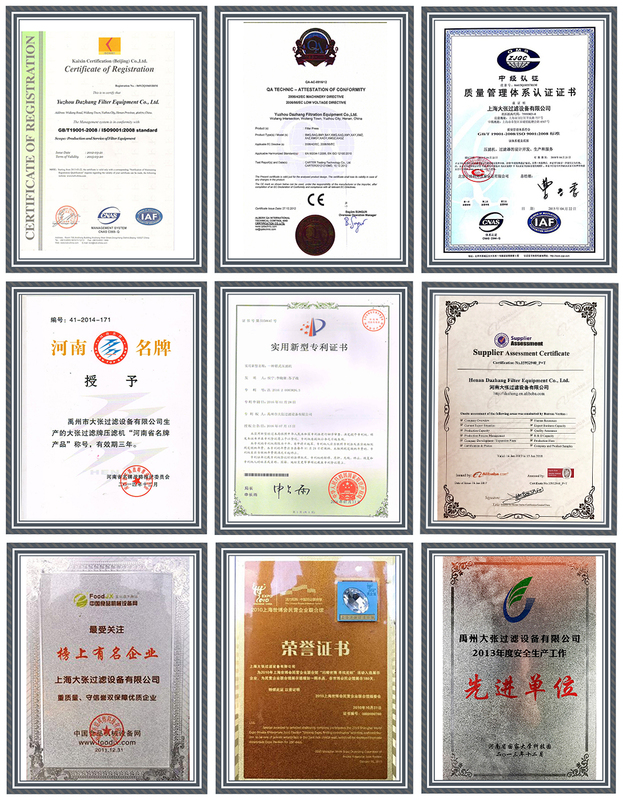 5, Low noise, economic and reliable, with wide range of application. 1.Preprocessing of flocculation. 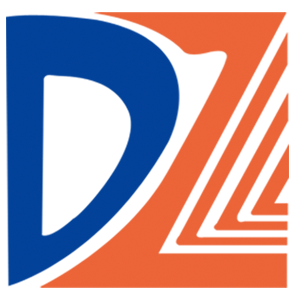 Mix polymer with the sludge to permits the agglomeration of particles. 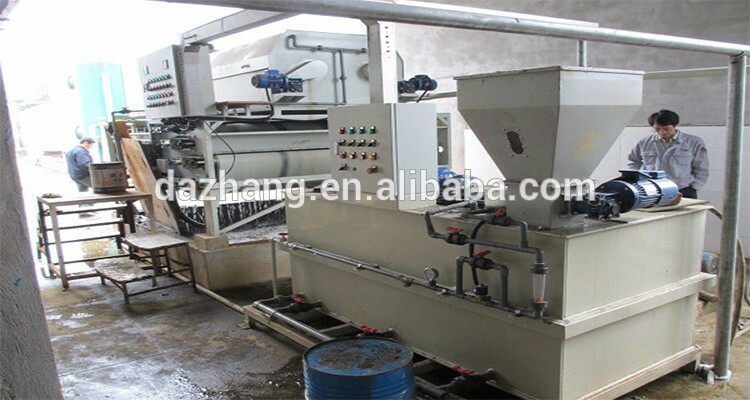 2.Distribute the flocculated sludge onto the Gravity Dewatering Zone. The slurry moves through a series of plows and the free liquid is removed by gravity drainage porous. 3.Then the slurry moves into the Long Wedge Zone and became loosely structured cake. 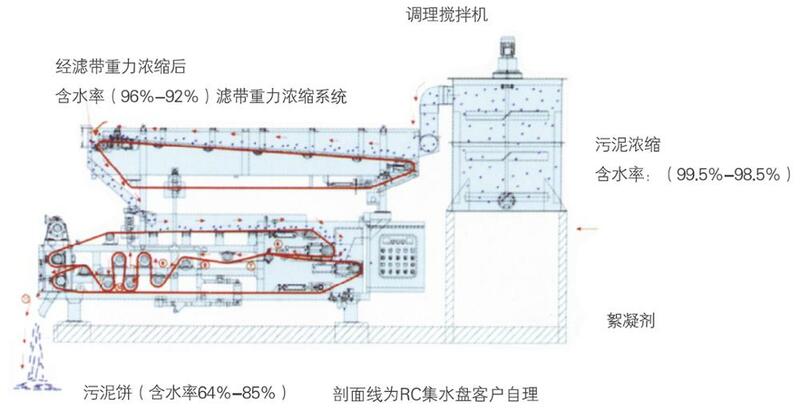 4.The loosely structured cake proceeds forward and enter into the Roller Pressing Zone, which consists of a combination of rollers that decrease in size and accordingly can produce the medium and high pressure to squeeze. 5.Finally the cake is scraped off the belts and discharged. At the same time, both belts separate and back to the beginning of the process.